Coffee gear and espresso machines benefit from regular maintenance. Proper care is essential to make the best tasting coffee and to increase the life of your equipment. In this series of videos we provide tips, demonstrations and tutorials for common cleaning and maintenance tasks. So clean that coffee maker, descale that espresso machine and de-gunk your grinder while you follow along with the Seattle Coffee Gear Crew. How Should I Store My Espresso Machine? How Do I Clean My Rancilio Rocky Grinder? How Do I Keep My Grinder's Chute Clean? 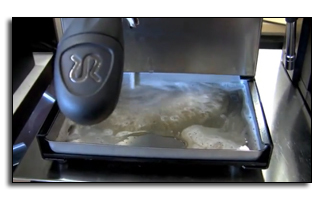 Can I Use Grindz to Clean My Superautomatic Espresso Machine Grinder? Which Filter Should I Choose for My Jura Superautomatic?